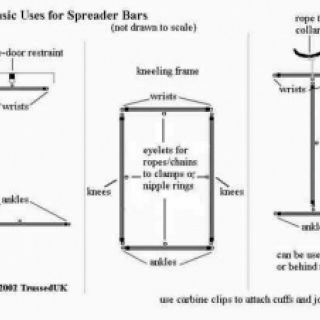 This versatile set of spreader bars is a must for any toy bag. Singularly they can be used to spread ankle to ankle and wrist to wrist. Add an upright between the wrist bar and the ankle bar to increase immobilisation. 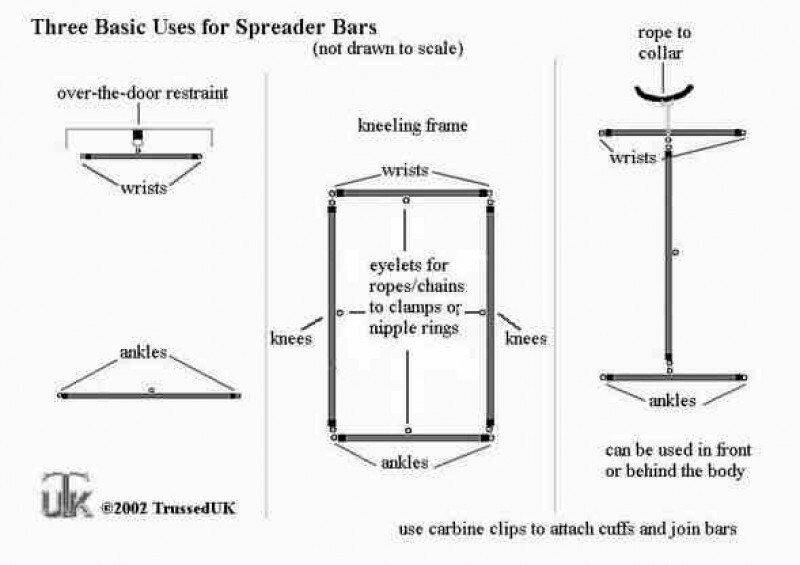 Alternatively they can be placed in a rectangle as a kneeling frame with wrists and ankles attached to the corners. 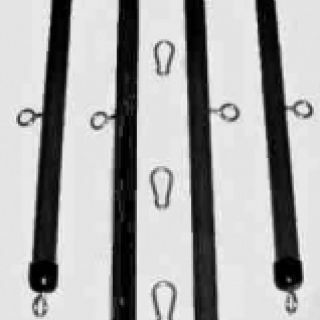 Additional eyelets allow for the use of ropes or chains. A piece of equipment that is only limited by your imagination. Lengths : 30" and 18".